When it comes to products me and my family use I try and steer clear of anything not all natural and chemical free. If I don't know the ingredients I don't use it! It is that simple! 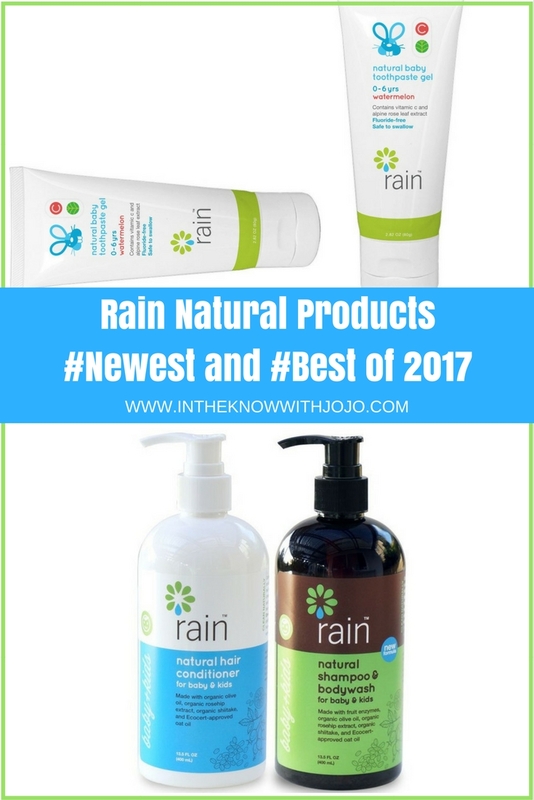 Rain Natural Products takes all natural to a whole new level. Their products mainly include Citrus, Coconut Oil, Mangosteen and Pineapple. They have mastered shampoos, conditioners and even toothpaste that is all natural and completely pampering for kids! They even offer natural products for mommy as well like stretch mark cream, laundry and dish detergent. Sierra loves Rain's Watermelon Natural Toothpaste Gel! She is finally brushing her own teeth! Each bottle of Rain actually contains up to forty percent fruit. The fruit they use in their products can sometimes ripen over two years. It is a little costly for Rain but gives the consumer the highest possible quality product. Rains unique blend of tropical fruits and essential oil are found in Asia. Rain works with growers in the rural community of southern Thailand for supplies and production. Through the use of tropical fruits and production process that relies on local workforce, Rain aims to promote community supported agriculture while remain a socially and environmentally responsible company. Why fruit and why the fruits Rain chooses? The unique component of Rain's formula combines the power of several types of tropical fruits. Main ingredient such as pineapple and citruses help break down proteins, remove stains and deodorize. Extracted through a time-consuming process, our multi-fruit enzymes help gently clean without the use of harmful chemicals. Each fruit and oil has its own purpose in Rain's Products! Rice Bran Oil is packed with antioxidants and rich in Vitamin E, rice bran oil is a powerful natural moisturizer. Found on a thin layer between the rice grain and the hull, it contains as much as 60% of the nutrients in each rice kernel. It’s high in essential fatty acids and extremely effective in preventing dryness and providing skin protection. Mangosteen is known as the queen of fruits, mangosteen contain many important vitamins that helps maintain healthy skin. 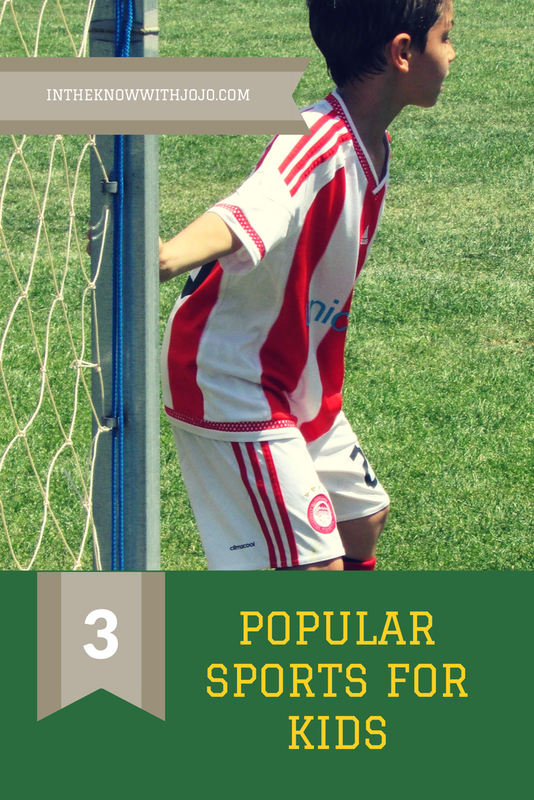 It’s also rich in minerals like copper, manganese and magnesium. Coconut oil is an effective moisturizer. It’s packed full of vitamin E that helps protect and repair skin. Unlike mineral oil, it helps reduce the appearance of wrinkles without any side effects. We were able to try the all natural Watermelon Natural Baby Toothpaste Gel and the Natural Shampoo and Conditioner set for baby and kids. 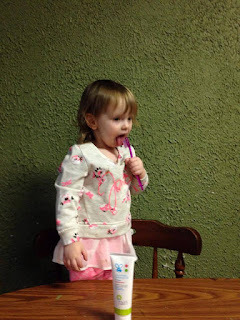 Sierra is new to brushing and the gel consistency as well as the Watermelon flavor made it easier and fun for her to brush. The Natural Baby Toothpaste Gel formula contains Vitamin C and alpine rose leaf extract to keep gums healthy. The shampoo and conditioner both have a lot of citrus and you can actually smell the citrus scent in the shampoo and conditioner It is a clean all natural scent perfect for little ones. I loved the hand pump which allowed for the kids to easily use Rain on their own. Rain's natural conditioner is infused with olive oil, oat oil, shiitake mushroom, and rosehip extract to help nourish the hair and strengthen the scalp without the use of harmful chemicals. 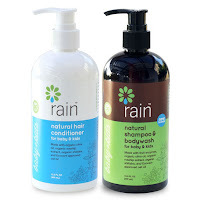 Rain natural products are formulated especially for babies, kids and adults with sensitive skin and allergies. We loved our Rain products and they are one of the best products we have found in 2017! I can't wait to try the Laundry and Dish Detergent! Interesting, Reading all kinds of good things about coconut being so healthy.